Our experienced staff of instructors will teach you in a fun and safe way. Please call 843.768.6001 to schedule a reservation. We can’t wait to be a part of your learning experience! For a complete schedule of lessons & classes, please check our Events Calendar. The following activities are also available as private individual or group lessons by request: yoga, archery, painting and more. 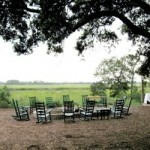 Please call the Nature Center for pricing, reservations and more information 843.768.6001. 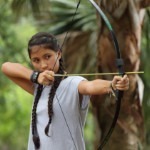 Whether you want to be like Robin Hood, Katniss Everdeen, or Legolas, you will learn your skills here. Join our expert staff as you try your luck with stationary and moving targets! Our Laporte archery target launcher will be sure to challenge all of Kiawah’s new archers. Price: $45/60 minutes per person for ages 9 & up. Private lessons available upon request, (843) 768-6001. 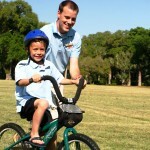 Enjoy the comfort of Night Heron Park to learn the skills needed to enjoy the 30 miles of bike trails on Kiawah. Bicycle and helmet are included. Please notify at the time of reservation if you are providing your own bicycle. Ages 5 and up recommended. A session with one of our surfing enthusiasts will teach you the basics and give you the skills to go out on your own. Meets at the Sanctuary Beach Access. Participants should feel comfortable in the water and must be able to swim. Recommended for ages 9 and up. 3 person minimum, 6 person maximum. Join the ranks of Houdini, Copperfield and Blaine in this hour long class taught by Gary Maurer. Participants will learn the basics of magical entertainment and will take home their own bag of tricks. $12 per person. Ages 8+. A private session with one of our surfing enthusiasts will teach you the basics and give you the skills to go out on your own. Meets at the Sanctuary Beach Access. 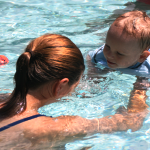 Private lessons are perfect for swimmers who desire a more individualized and personalized swim or stroke lesson. All of our instructors are certified in First Aid and CPR. Price: $40/person for 30 minute lesson. Ages 4 and up recommended. 6 months to 3 years lessons are based on senior staff availability; please allow plenty of advanced notice. Optional Drop Off at Kamp Kiawah after completion of lesson. Our Surf Camp is great for all skill levels. Participants will learn the technique to surfing, how to pop up, how to maintain and wax the boards as well as how to paddle and catch your own waves! Meets at the Sanctuary Beach Access. A pizza lunch, snack and water are provided. All participants will receive a Kiawah Island Rash Guard Surf Shirt. Water, Lunch and a snack are provided. Minimum of 3 and Max of 9 participants. Spend a half a day with a professional Charleston artist who will be with you every step of the way to make your experience enjoyable and successful. 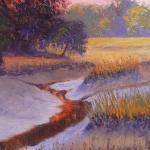 You’ll leave with your own completed painting of the marshes of Kiawah Island, which is a wonderful keepsake. The session includes instruction on composition, color mixing, and finishing techniques. All professional-grade art equipment will be supplied, including smocks. Meets at Mingo Point. All levels of ability are welcome; ages 18 and up. Reservations are required by 4pm the day before the class. 843.768.6001 Minimum of 2 participants. 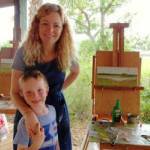 Come and paint outdoors at beautiful Mingo Point. A professional Charleston artist will teach all the basics and will be with you every step of the way to make your painting instruction fun and educational. Plus, you’ll complete your own painting by the end of the class! All art equipment will be supplied, including smocks. Please dress in comfortable clothes that you’ll be willing to possibly get paint on. Meets at Mingo Point. All levels of ability are welcome; ages 12 to 17 years old. Reservations are required, call 843.768.6001. Minimum of 3 participants and maximum of 12. Whether you’re completely new to oil painting or a pro, spend a half a day with Charleston artist Tina Mayland and paint the marshes of Kiawah Island. The session content will be customized based on your goals. All professional-grade art equipment is supplied, so all you need to bring is your enthusiasm. Private lessons are great for individuals, families, business associates or any other group. Meets at Mingo Point. Price: $300 for the first person; second person FREE; $150 for each additional participant. Reservations are required; call to arrange a time that fits your schedule. 843.768.6001.